“After the beginning of the garbage blockade in Lviv, I was invited to the Presidential Administration and was offered to sign an agreement. Its essence was very simple – I had to submit the Samopomich faction in the parliament under the control of the Petro Poroshenko faction and I guarantee personal loyalty. In exchange, the President promised to give the command to end the blockade,” says Andriy Sadovyi. 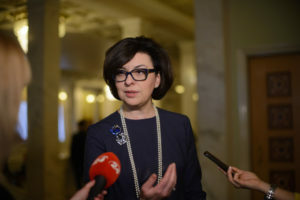 As stated in the draft agreement, Samopomich was supposed not to criticize, that is, publicly support the President’s actions, vote for the laws initiated by him and the presidential party with at least 26 votes, as well as oppose politicians who are in opposition to Petro Poroshenko and his party. “I did not accept the offer. 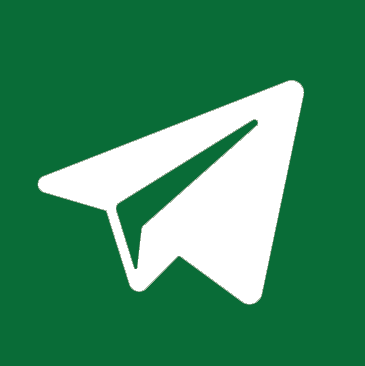 Because if we had signed this agreement, Samopomich would have actually ceased to exist,” says Andriy Sadovyi. However, he believes that this story shows how “blackmail and humiliation of human dignity” are used in Ukrainian politics. “I had had no intention to make this public, because this event could have affected the image of our country. But last week some very interesting events began. A representative of the President in the Lviv region said that he would not allow the construction of the waste recycling plant. 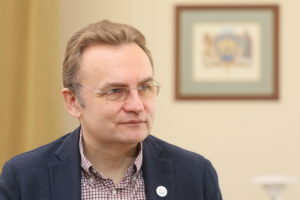 That is, I see there are some plans regarding Lviv – there is a very clear order from the Presidential Administration to prevent the construction of the plant,” says Sadovyi. We shall recall that after the cessation of the garbage blockade, Lviv was supported by international partners in addressing the issue of domestic solid waste. Lviv signed an agreement with the EBRD and received 25 million euros for the construction of a plant for deep processing of garbage, as well as a 10 million grant from European environmental funds for the reclamation of the closed landfill. To date, the first stage of the tender has taken place. A short list of 5 European companies that want to carry out construction has been made. The place for the construction of the plant has been chosen, the project documentation has been approved. The plant in Lviv should be the first in Ukraine working on the basis of the European technology of mechanical and biological waste treatment. This technology provides for the sorting of dry and wet waste, recycled materials and the arrangement of separate sites for collecting electronics, bulky and construction debris. Also, an organic waste composting station should open in the next year. After the arson at the Hrybovychi landfill in May 2016, the prosecutor’s office banned Lviv from taking out the garbage to the old landfill. 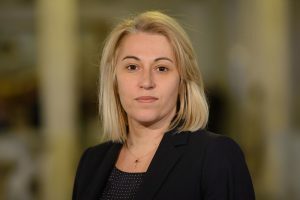 Subsequently, all city and even private landfills in Ukraine, being under pressure from regional state administrations and law enforcement agencies, refused to receive waste from Lviv. 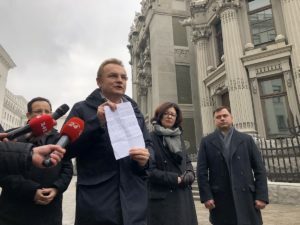 Only after a 6-day-long hunger strike of people’s deputies Oleh Bereziuk, Oksana Syroyid and Taras Pastukh in June 2017 and the appeal of the All-Ukrainian Council of Churches, the Presidential administration suggested striking a deal. In order to avoid epidemics, city chairman Andriy Sadovyi was forced to sign an agreement with the regional state administration. Since then, the city of Lviv has been paying the latter almost 1 million hryvnias every day for regional landfills to accept garbage from Lviv.